Click image to view full size right-click on image to open in a new tab or window, then click on the image once to enlarge. REPUBLIKA.CO.ID, Departure from the admirable to the teachings of Islam are judged soft, Aishah Schwartz decided to become a convert to Islam in April 2002. Not just embraced Islam, a Muslim from the United States (U.S.) was then rip through the world preaching the activities of activists and authorship. Through his preaching, he attempted to reach the insight and understanding of society, especially the U.S., that terrorism is not related to the concept of jihad is believed to be Muslims. For the sake of preaching anyway, Schwartz had protested to the President of France, Jacques Chirac. Dressed like a statue of American pride, Liberty, Schwartz speeches in front of the French Embassy in Washington DC on January 17, 2004. At that time, he shouted concern over the French Government's policy that prohibits Muslim women wearing headscarves in schools or offices. Schwartz returned to action in 2006 while seeking a special place for Muslim worship while near the Kaaba, the Grand Mosque. Not only in the field, Schwartz campaign also done through the virtual world by displaying the poster reads: "We Have a Right to Pray in This Space!" He also wrote a statement addressed directly to the King of Saudi Arabia, Abdullah bin Abdul Aziz. 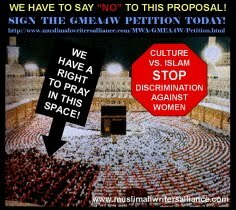 When he read his statement, a reporter from one of the Egyptian media, Al-Ahram, commented that this action should be emulated by other Islamic feminists. In addition to directly express his anxiety, Schwartz also writes the blog, "Sister Aishah's Journey", organized groups of bloggers readers of The Daily Reviewer. He joined in it since September 2009. 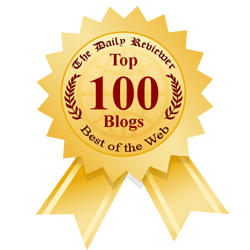 This blog is then chosen as one of the 100 favorite blog reader. Schwartz continued to advance in the fight for the rights of Muslim women. In 2006, he founded the institute Muslimah Writers Alliance (MWA). Social institutions based in Washington DC is to proactively supervise the preparation of draft laws concerning the rights of women in Saudi Arabia. MWA also help the availability of access to education for students in Gaza, Palestine. The film world was no stranger to Schwartz. In 2004, he has been involved in filming a television series on the Weta-TV. He was twice acting as an activist. Then, in an effort to expand the reach of his campaign, he initiated a joint filmmaking Bridges Foundation. Working on a session entitled "Jihad Against Terrorism" (Arabic subtitles) which Imam Suhaib Webb starring actor. He is also known as non-fiction writer part-time. His writings mostly talking about the wrong perceptions about Islam and life after deciding to become a Muslim. As a journalist, he is known to actively fill the virtual pages online magazine for the Muslim community, Naseeb Vibes. Schwartz also frequently article appeared in The American Muslim. The years, but the spirit of Schwartz's unflinching support and defend the rights of Muslim women around the world. Only, he is now more focused on the struggle to defend the rights of Palestinians. 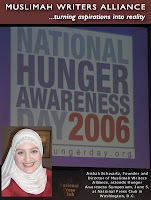 In 2005, Schwartz led a nationwide campaign that was held together with America's Second Harvest and the American Muslim community. Through this campaign, he garner support from U.S. Muslims to then be donated to mosques across the U.S.